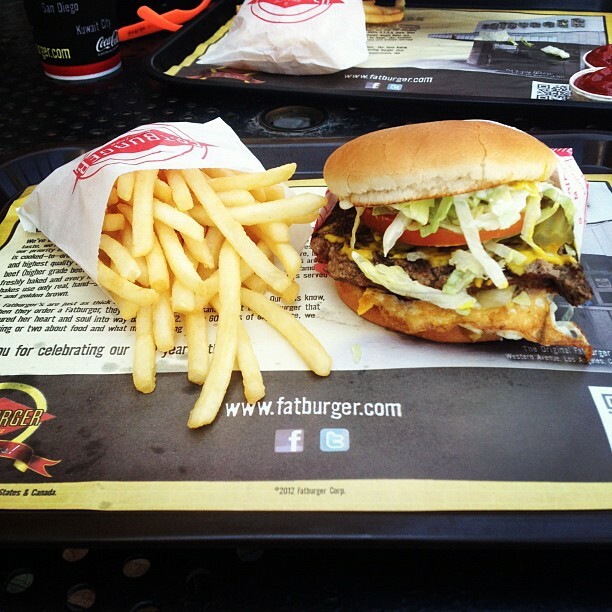 Fatburger Celebrates 60 years as “The Last Great Hamburger Stand”! Want this burger in your mouth?! Until October 10th, you my friend, are able to get fantastic deals at Fatburger including, and not limited to: A $2.oo Oreo Shake, a “Baby-Fat” fatburger for the price of $1.oo, and a normal size Fatburger for only $1.75. Because of their 60th Anniversary, Fatburger decided to keep within its 1950’s theme and use some throwback prices to celebrate with the people who made it happen. Us! The burger lovers. Anyhow, I advise you to take advantage of this gift in your palms, and get your (hopefully non-sweaty) hands on one fast ‘n only while supplies last — Or so says their website!